So, I have had a wonderful project on going for the last couple of weeks. Well since the mast went overboard. I have to replace the mast thwart in such a manner that it will not blow out again. I love stuff like this as it usually involves buying tools. 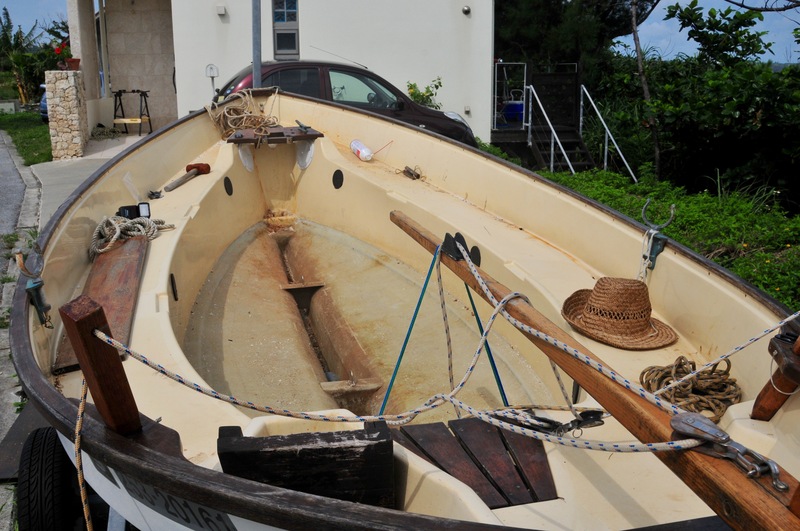 I discuss a lot with knowledgeable people, in particular Bob and Norma from Rochdale, who built the boat. They recommend replace the original brass screws with steel bolts. Which sounds stronger to you – brass screw or steel bolt? 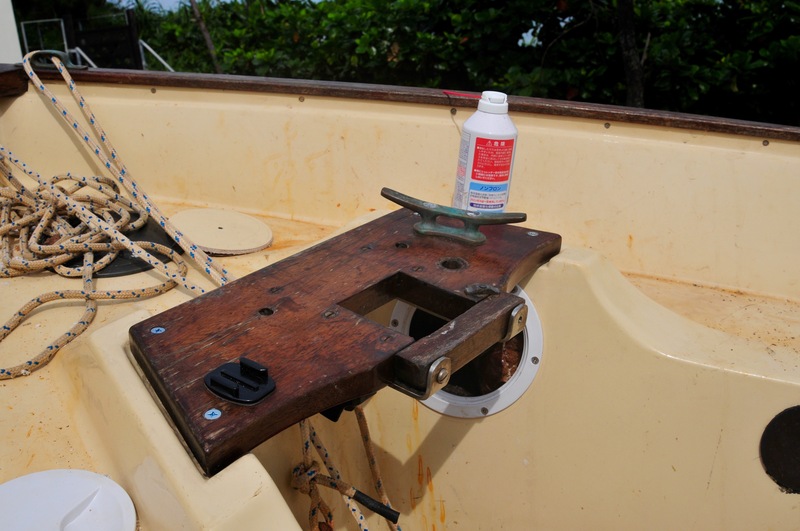 To use bolts, I have to cut 5 inch holes in the bulkhead on both sides, under the thwart. This so I can get my hand in to screw the nut and washer onto the bolt and subsequently a spanner to allow tightening. 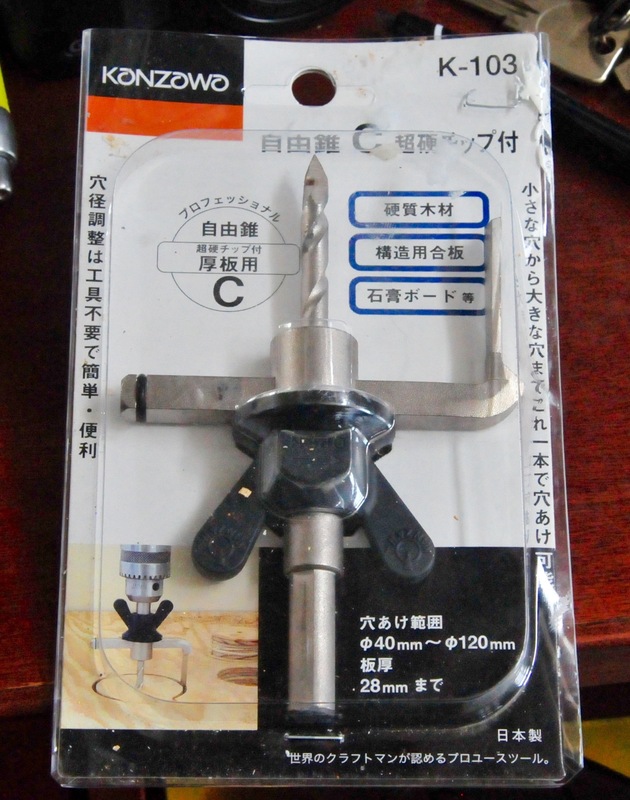 After a lot of mime, I manage to buy the best tool in the world. It cuts round holes in things. I also have to buy a drill and some drill bits. I drill out the old screws as what had broken off. I drill right through into the ballast space, which will allow me to insert strong sounding steel bolts. I am so excited that I rush home from work to start the job before it gets dark. 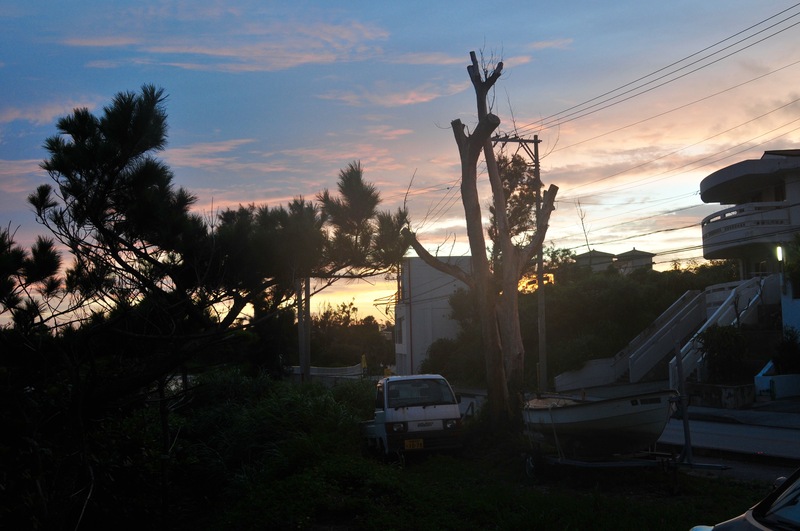 There has been a typhoon by the way but I have written about those before. 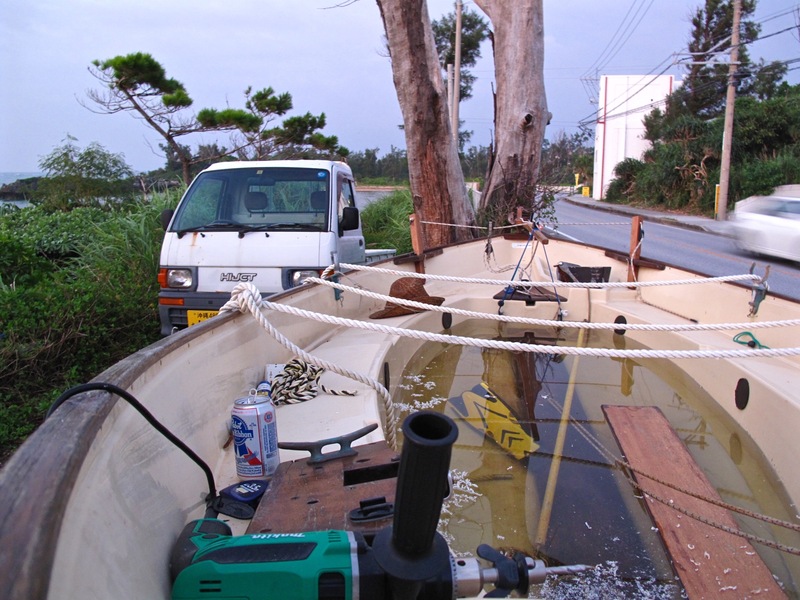 Has anyone, ever, written about replacing feeble brass screws with strong steel bolts to hold a wooden mast thwart securely in place, er in Japan? It is getting dark as I set to work. Beautiful 5 inch hole. Ballast foam behind. 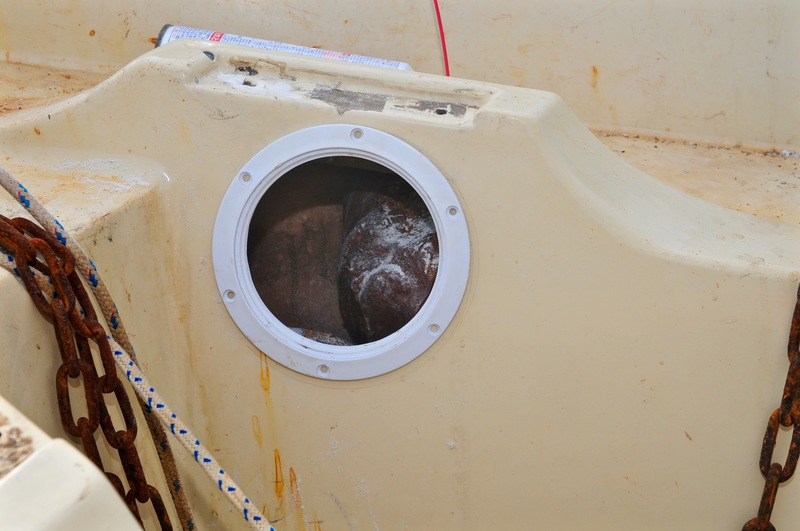 Of course, great fun though it be drilling huge circular holes in the side of the boat, I will of course have to close them off again to stop the wild and willful ocean from infiltrating. 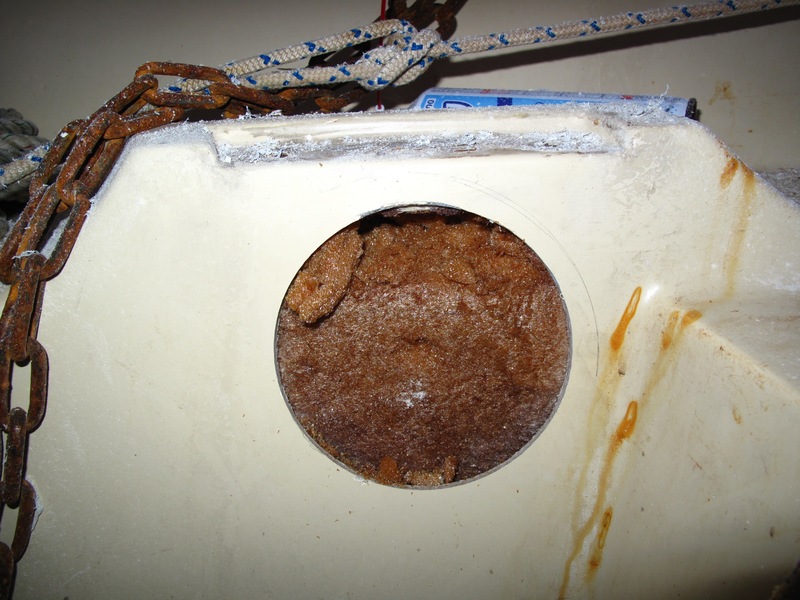 Micheal, in a truly masterful fashion, tracks down 5 inch hatch covers in some online Japanese chandlery and a polite delivery man er delivers them the next day. Thanks Micheal. There is a small slice of wooden missing from the thwart. 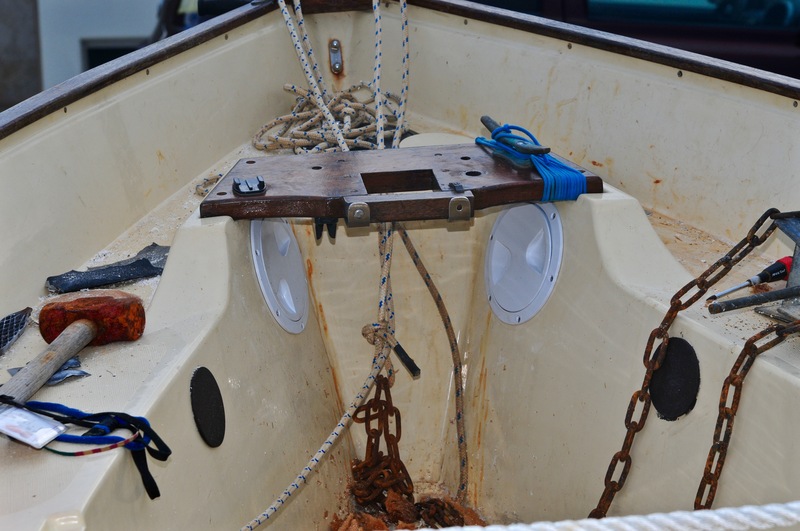 It was untimely ripped when the screw was pulled out during the catastrophe at sea. I carve a replacement and glue it in, holding all together with blue string and a five pound note whilst the glue dries. Not yet bolted on – just drying. Hmmm maybe a tree next time. 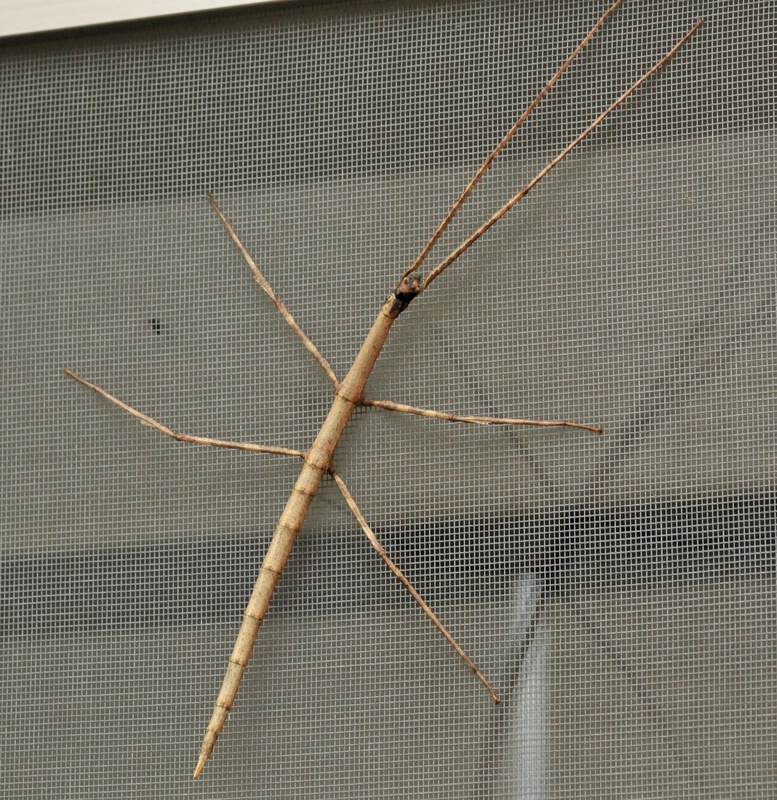 During the drying intermission, I notice a very large stick insect cleverly disguising itself against the fly-screen. I soon realized why it had chosen such an inappropriate hiding place. 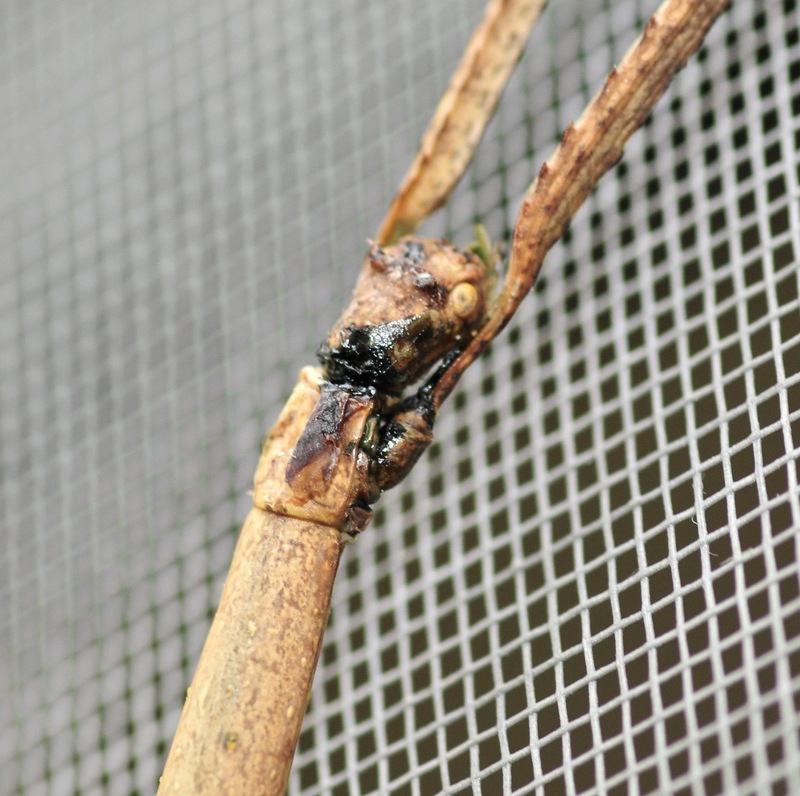 A stick insect outlaw done shot him in the back of the head. I get up at dawn to bolt on the now glue dried thwart. I then give the Scaffie a jolly good scrub. 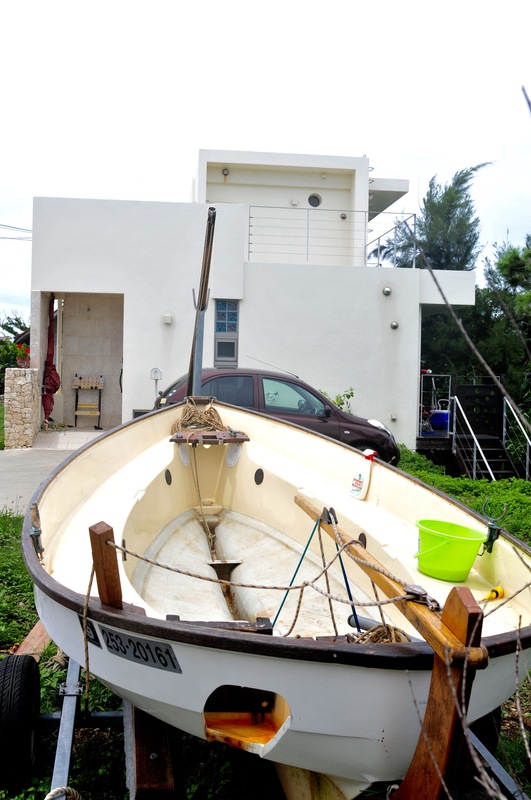 So now I will launch the boat and ship the mast and sail around to see if the strong steel bolts work. What a great project. What can I cut circular holes in now?